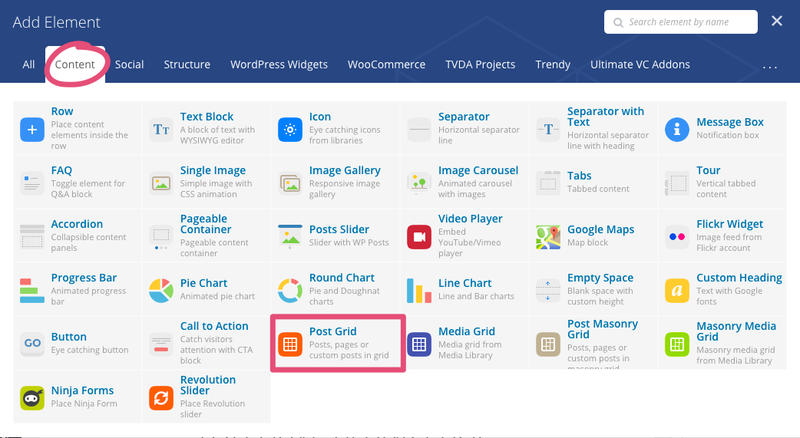 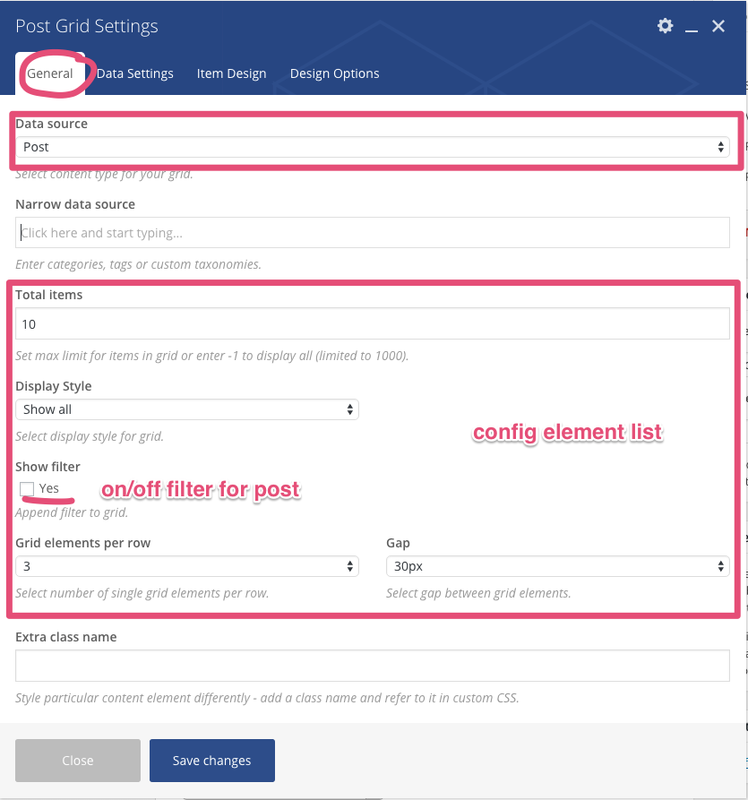 Using the Post Grid element you can display a list of recent posts written in your blog. 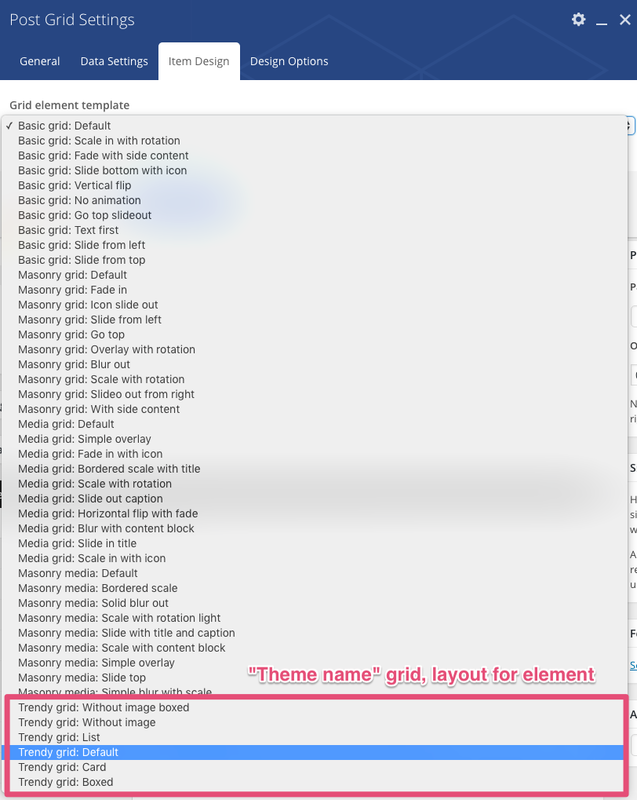 It’s mostly used when building homepages but it can be inserted in any page. 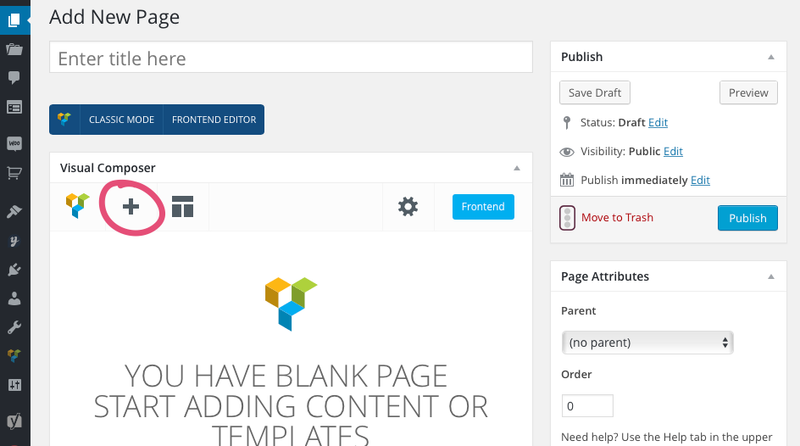 Choose to display your most recent posts from the whole blog or pick up a single category.